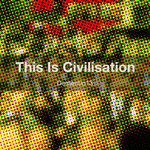 Hidden track "Our Policy On Swearing" is included in the album download. Bonus tracks also feature the single version of 'Know Your Place'. 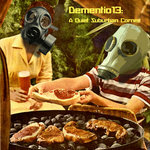 "Dementio 13 is a Cardiff-based artist making wonderful electronic soundscapes in a variety of styles. His music has always held an intriguing fascination for me, moving from ‘gentle & reflective’ to ‘knock yer fillings out’ in a matter of moments. Insightful collages of sound from an alchemist’s lair if you like. July 15 see’s the release of the release of his new album ‘Imperial Decimal’ and I can report back that it contains some of his finest work to date." "Imperial Decimal is very clever, but it is also accessible, enjoyable, and frequently beautiful." "This lovely instrumental ('Application Of Number') with its unearthly sampled countdown is a taster from Paul’s forthcoming new Dementio13 album Imperial Decimal due out via his Bandcamp on July 15th." "Jester comes across like a playfully sinister assault. One can picture it soundtracking some sinister goings-on during , say, a Halloween flick; I’m seeing individuals in ‘joke’ masks taking part in anything but hilarious business."